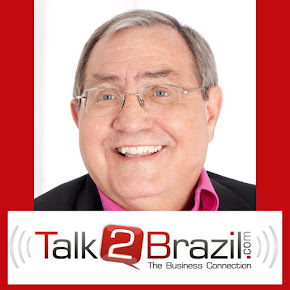 Founded in 2009 by Tom Reaoch, a talk radio program about Business in Brazil. Interviewees and business partners come together to share about Brazil. Now in New Podcast Format. Marco Linhares, Brazil Bullying Specialist. Thanks to podcastinsights.com for this graphic. Russell Dalgleish, The Tall Scotsman, Campinas, Brazil, Visit. Steve Scheibe, Brazil Expert, President at All Abroad Consulting. Elinor Stutz, CEO Smooth Sale, Author and Inspirational Speaker. Daniel Bland, Editor Fleet Latam Magazine. Stuart Morgan, "C Level" Training Expert. Tracey S. Yang, CoAuthor "Super Women"